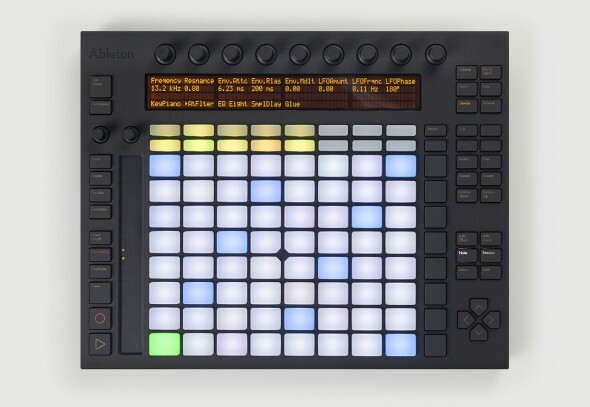 Ableton have released their latest hardware controller called Push. Whilst predominantly a controller for Ableton Live, I’m sure the guys over at Native Instruments are panicking over the future sales of their similar Maschine. In the fast moving Hardware Controller market, this looks like a very well built, fully featured piece of kit. Push is a new instrument that solves an old problem: how to make a song from scratch. With hands-on control of melody and harmony, beats, sounds, and song structure, Push puts the fundamental elements of music making at your fingertips – and it fits in a backpack alongside your laptop.